Do you want to change your account password in shopclues?. If more than one user accesses your system, then it is always recommended to change your password, whether it is your email password, your computer password, Social networking password or even e-commerce password. In this article we are dealing with e-commerce password because while using any e-commerce website, you might enter your credit card or debit card details recklessly which may cause potential damage to your bank account. As there is a saying “Prevention is better than cure”, that is why it is always advised to change your password regularly. Just have a glance at this article to know how to change shopclues account password. Step 1: First go to shopclues official website, i.e. “www.shopclues.com” and then click on the “Sign In” button, which is located at the top right corner of your screen. 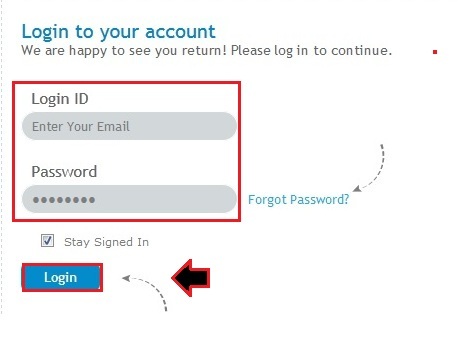 Step 2: In the next step, you need to enter your Login id (your email address) and Shopclues password and then click on the “Login” button to enter on the Shopclues website. 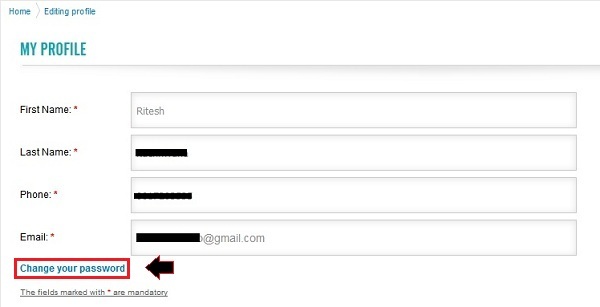 Step 3: Now, go to the “Account” section to open “Profile details” option, as shown in the image below. Step 4: Under “My Profile” section, you can edit your contact information such as your first name, last name, phone and email address. But we are here to change our shopclues password. So for that, just click on the “Change password” link as marked in the image below. Step 5: Here, under “Update Password” section, you need to enter your current password followed by your “New Password” and then click on the “Save” button. Step 6: Finally, you may see a message saying “Password updated successfully”.